I'll admit it's taking more to impress me when it comes to new models of motorcycles and the 2016 Vancouver Motorcycle Show confirmed that 2016 will be a "lull" year for the motorcycle industry. At least when it comes to new products. The trend for 2016 appears to be focused on refining what's already working, especially in the "Retro Classic" line of motorcycles. BMW jumped into the small displacement pool with the G310R, a fun looking naked or roadster motorcycle that should appeal to the new rider or someone who wants an affordable and fun "around town" bike. BMW also announced the R Nine T Scrambler, which will be in dealers later this year. This is essentially a R Nine T in Scrambler trim. Honda is the latest manufacturer to take a swing at the BMW GS line with the introduction of the Africa Twin, a 1000cc parallel twin Adventure style motorcycle that is advertised to be a good option for those who want to ride long distances on dirt roads as well as pavement. Based on the states performance specs and the base price, this motorcycle will be competing with the BMW GS 800 and Triumph Tiger 800 XC lines then the big BMW. Time will tell if this long awaited motorcycle with live up to the hype. I do want to take one for a spin before making any further comments. Honda also introduced the VFR1200X. This is an Adventure style motorcycle that'll likely stay on pavement. It's powered by a 1,237cc V4 engine that's been with honda for a few years and while new to North America, the VFR1200X has been sold in Europe as the Honda Crosstourer since 2012. Kawasaki appears to the the only one of the Japanese Big 4 that is staying with it's lineup from 2015, with refinements and new paint schemes on most models. Triumph focused on the reworked Thruxton line. 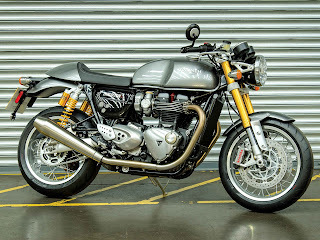 In the past the Thruxton was based on the 900cc parallel twin that's found in the Bonneville line. 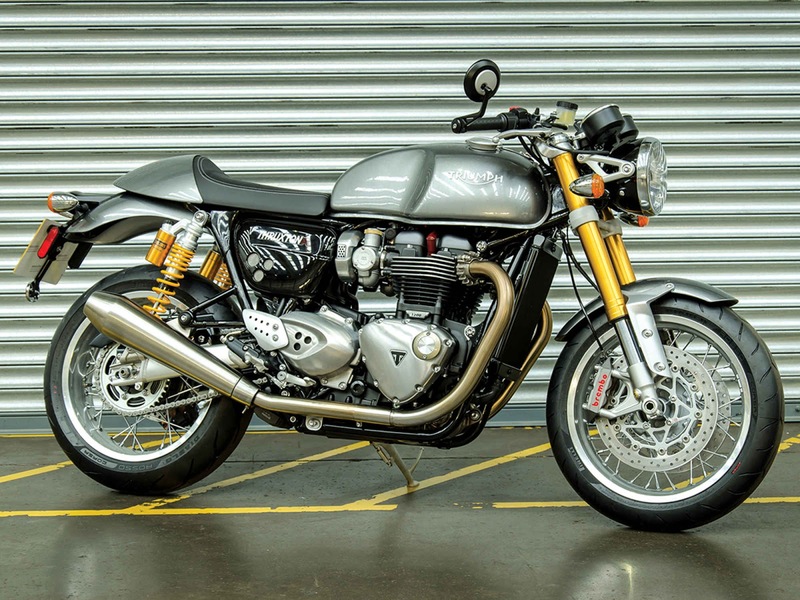 For 2016, the British brand upped their game by putting a 1200cc parallel twin engine in the reworked Thruxton, which should excite those who like the "Retro" style, but want some power too. The Thruxton is also available in an "R" spec model. Triumph has also reworked their 1200 Tiger Explorer and Tiger 800 series of Adventure motorcycles, however chose not to bring the new models to the show. I was very disappointed about that. Ducati has made some changes to most of their models, however nothing "earth shattering". The exception was the introduction of the Multistrada 1200 Enduro. This is not a Multistrada 1200 in offroad clothing, but a true "BIG" Adventure motorcycle. It comes with laced spoked wheels, a 19" front wheel, well thought out engine protections (more will be needed of course) and a big two sided swing arm. If any new motorcycle has a chance to compete against the BMW GS, this will be it. With the age of the internet and You Tube, it's less expensive to post all the stuff and reach more people then to attend the shows. It also takes more to impress me these days, so that's part of it too.